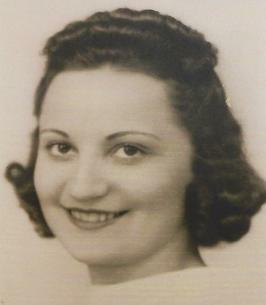 Eugenia Krenitsky Barkofsky, 104, of Elmhurst Township, formerly of Olyphant died Friday November 23, 2018 at home. Born in Olyphant, she was the daughter of the late Metro and Anna Sucheniak Krenitsky. Educated in Olyphant schools, prior to retirement she was employed by Daystrom in Archbald as a supervisor and later worked for several years at her sons floral shop, Four Seasons Florist Shop in Peckville and continued to maintain her home beauty shop hours when needed. She was a member of SS. Cyril and Methodius Ukrainian Catholic Church and its choir, and also a member of the Shopa-Davey VFW Post #6082 Ladies Auxiliary. Jean loved hosting her annual Ukrainian Christmas Eve dinner for her entire family and also loved blessing her Easter basket, serving Easter morning breakfast, and hosting her annual Easter egg hunt. Surviving are daughter Barbara Meyers and husband John, with whom she resided, Elmhurst Twp. ; son Ronald Barkofsky and wife Jo Anne, Eynon; daughter-in-law Mary Barkofsky, Peckville; 10 grandchildren; 9 great-grandchildren; sisters Tillie Albini, and Helen Brojack; brothers Peter Krenitsky and wife Gloria, William Krenitsky, and Myron Krenitsky and wife Barbara; several nieces and nephews. She was preceded in death son J. Thomas Barkofsky; 6 brothers; a sister; and her husband Alfred. The funeral will be Tuesday at 9 am from the Arthur A. Albini Funeral Home, 1003 Church St., Jessup, with Funeral Devine Liturgy at 10 am in SS. Cyril and Methodius Ukrainian Catholic Church, 135 River St., Olyphant, to be celebrated by the Rev. Nestor Iwasiw, pastor. Interment, Parish cemetery, Peckville. Friends and family may pay their respects Monday from 5 – 8 pm. Parastas Service will be held Monday at 7 pm. In lieu of flowers memorial contributions may be made to SS. Cyril and Methodius Ukrainian Catholic Church Choir, 135 River St., Olyphant, PA 18447. To send flowers to the family of Eugenia Krenitsky Barkofsky, please visit our Heartfelt Sympathies Store. We encourage you to share any memorable photos or stories about Eugenia. All tributes placed on and purchased through this memorial website will remain on in perpetuity for future generations. I am so sorry to hear of the passing of Aunt Jean. She was such an incredible woman who shared her love with everyone. I loved spending Easter’s at her home when I was younger and looked forward to seeing her at the reunions. She will be greatly missed !!! Prayers to her family.